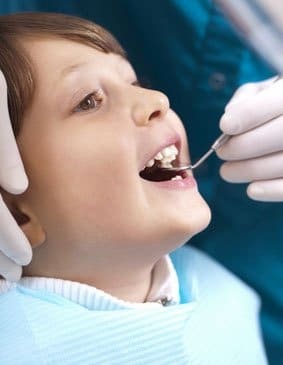 The basics of preventative dentistry includes regular examinations with x-rays and teeth cleanings. Yet, there is so much more to it! Digital X-rays are the latest in dental x-ray technology. There is no film, no chemicals, and the x-rays are seen immediately by both the doctor and the patient. The x-rays are stored on the computer and can be emailed anywhere when completed. Now patients can have a copy sent to their email address by the time they leave the office. The radiation is between 80 and 90% less than the outdated method used previously. On visual examination, the dentist can only see about 50% of the tooth. What about the rest of the story? There can be decay on the root of the tooth. What Else Can Be Detected With X-rays? X-rays Can Be Critically Important! Each new patient should have a full mouth series of x-rays to be used as a dental starting point. Then each year a short series of “check up” x-rays should be taken. Each patient is an individual, so there may be variations on this rule of thumb. Tooth Decay – Still the primary reason people come to the dentist. TMJ – Our jaw joint is working all day long. Talking, eating, clenching, and grinding are just some of the problems. Muscle Evaluation – There are six muscles and ligaments on each side holding our jaw in proper alignment. 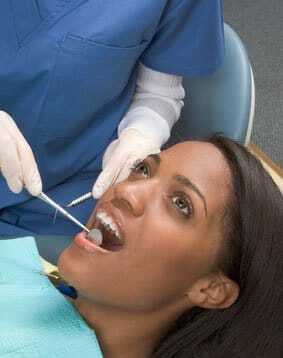 Oral Cancer Screening – Oral cancer has a very low survival rate because of the lack of early detection. This evaluation is done every time you come into our office as a courtesy routine. Gum Disease Evaluation – Pocket charting, inflammation ratings, bad breath and tongue build up are all noted. Old Fillings and Crowns – Just because it doesn’t hurt doesn’t mean it shouldn’t be evaluated. Nothing lasts forever. Looking at the X-rays – Evaluate the areas captured on the computer. A healthy person should get their teeth cleaned every six months. This includes the use of hand instruments to remove any hardened calculus, also know as tartar, which is a hardened version of plaque. After the teeth are smoothed, they are polished to smooth the surfaces below the gum line as well as the removal of any stain buildup on the teeth. We have a number of different flavored polishing pastes, including chocolate, coffee, pina colada, tropical fruit, and bubblegum, as well as the old standby, mint. Ask for a menu when you sit down!